My first and very favorite fruit tart recipe, Finland's traditional fruit or berry tart, called rahkapiirakka [RAH-ka-PEE-rah-ka] in Finnish. It was my very favorite dessert when I lived in Finland as an exchange student many years ago and was such a treat again just last month when we visited Finland and my Finnish "sister" served it to end a traditional Finnish meal in her home. The Conversation: To learn a new language, start with food words, easy to identify and remember. It's how I learned to speak Finnish, one bite at a time. Conventional wisdom says that the Finnish language is virtually impossible for non-natives to learn. But when I was a Rotary exchange student in Finland – yikes, decades ago now even if it still feels almost-like-yesterday – I worked hard to learn to speak Finnish. The kitchen was an easy place to start lessons at home. The very first afternoon, my host äiti (mother) began teaching me food words such as maito (milk), juusto (cheese), voi (butter), leipä (bread), kala (fish) and more. Later, she served a traditional Finnish lunch, a whole steamed salmon with fresh dill sauce, Finland's deservedly famous boiled Finnish potatoes, chewy rye bread with butter and cheese – and for dessert, Rahkapiirakka, this delicious fruit or berry tart. In Finland, Rahkapirakka is traditionally made with rahka (quark) and puolukka (lingonberries), a decidedly magical combination of tang and tart. Neither is easily found here in the U.S., so I adapted my original recipe from Finland to available ingredients – sour cream instead of quark and summer fruits like blueberries, sweet and sour cherries, even rhubarb. Raisins are delicious too (and traditional in Finland as well) though considerably higher in calories. Whatever the fruit, this makes an oh-so-impressive tart, even though it's so easy to make. So try this simple tart on your family. They’ll be sure to say kiitos – that means thank you! Rahka [pronounced RAH-ka, roll the "r" if you can! take a little "breath" on the "h" for extra credit!] is tangy like sour cream but thicker, a little grainy like ricotta, definitely not the creamy curds of cottage cheese. In the U.S., look for a dairy product called "quark" or "farmer cheese". For my fellow St. Louisans, I find both at Global Foods in Kirkwood though I prefer the slightly more grainy and less expensive Lifeway Farmer Cheese to the smoother, more sour and pricier Vermont Creamery Quark. Still curious? More about quark on Wikipedia. The easiest rahka substitute, however, one I'm quite enamored with in this tart, is sour cream. My Finnish "sister" Ritva nods at the idea: rahkapiirakka made with sour cream would be "different," she says, but still good. Lingonberries are the tiny, tart, crimson berries native to the northern-most regions of Scandinavia where the summer sun shines overnight. The Swedish retailer IKEA has made lingonberries famous, selling Swedish meatballs and lingonberry sauce at their restaurants. Lingonberry preserves are found in many food specialty shops, there are even growers in Wisconsin and the Pacific Northwest attempting large-scale cultivation. On two occasions, I have found unsweetened lingonberries in the U.S., once in a large tub, another time frozen. But other fruits work beautifully too. I'm especially fond of blueberries, sour cherries, rhubarb and raisins. What's In Your Tart? Maybe Blueberries? With a press-in whole-wheat crust and a sour cream and fruit filling, a Finnish Fruit Tart is ever so easy to make but yet looks really impressive. It's my "go to" fruit tart recipe for blueberries, sweet cherries, sour cherries, rhubarb and even raisins. It takes just 15 minutes to make in a single bowl, no mixer required! CRUST Mix crust ingredients in a medium-size mixing bowl with your hands or a wooden spoon. Press into a cake pan, pie tin or tart dish. FILLING In the same bowl, stir together sour cream, sugar, egg and vanilla sugar (or vanilla) until completely mixed. Fold in fruit, stirring just enough to distribute. Pour into crust and spread evenly. BAKE Bake 30 – 40 minutes or until a toothpick inserted in the center comes out clean. Cool and serve. 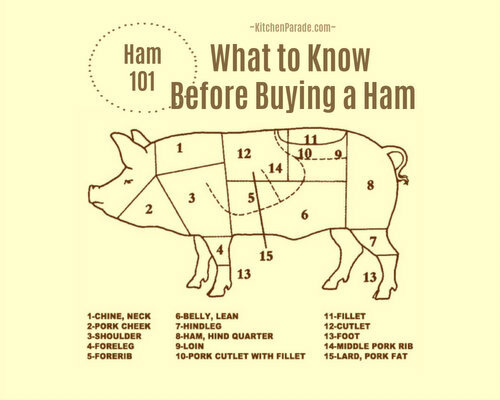 Best on the first day but holds its shape and taste for two or three days. You'll want to refrigerate any leftovers. MAKE-AHEAD TIPS Make the tart several hours before serving. My preference is to let the baked tart cool at room temperature, then to refrigerate it until it's well-chilled – that takes two to three hours. That said, it may be served "straight from the oven" (the raisin version is especially good that way) but will be soft and won't hold the shape of a crisp slice. NUTRITION INFORMATION Per Slice: 354 Cal; 19g Tot Fat; 11g Sat Fat; 43g Carb; 3g Fiber; 83mg Sodium; 97mg Cholesterol; g Sugars; 5g Protein. 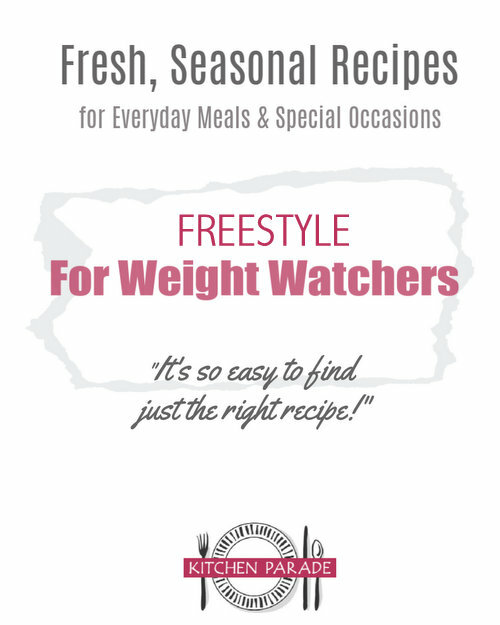 WEIGHT WATCHERS POINTS Old Points 8 & PointsPlus 10 & SmartPoints 16 & Freestyle 15. To reduce some calories, cut thinner slices or substitute low-fat sour cream (which saves about 20 calories per piece) or for further Freestyle friendliness, try non-fat Greek yogurt instead of sour cream. Doggone it! Now I have to go out and buy a bag of whole wheat flour and keep it in the fridge. But who knows, maybe with this tart, I will be making it so much, it won't need to be refrigerated for keeping. This sounds absolutely delicious and THANK YOU for the wonderful recipe. I love lingonberries. I don't remember if you included them, but bet cranberries with golden raisins would be good also or even just plain cranberries. I love cranberry anything. I have a Weight Watcher's Cranberry Scone recipe that is just out of this world. That sounds easy enough for me to try! Two questions though, could you use lowfat sour cream or nonfat plain yogurt? Also, would you want to stick to one type of fruit or could you mix? Jennifer ~ Isn't it easy? You'll be amazed, I think! Your questions are good ones. re low-fat or non-fat sour cream, I'm a fan of low-fat sour cream but find non-fat sour cream just too gloppy and chemical-testing. So if it were me, I'd go for the low-fat. re mix and match, I've never thought of that! I'm a 'black dress' kind of cook so like the one-fruit tart. But your question is inspriing, what about blueberries with mango? or blackberries with raspberries? Yum. Oh, I wish I had been better at following my WW lately so I wouldn't feel super guilty about making desert. I will mark the recipe for later in the summer when I am not feeling so guilty and maybe I can figure out the points for low fat four cream.